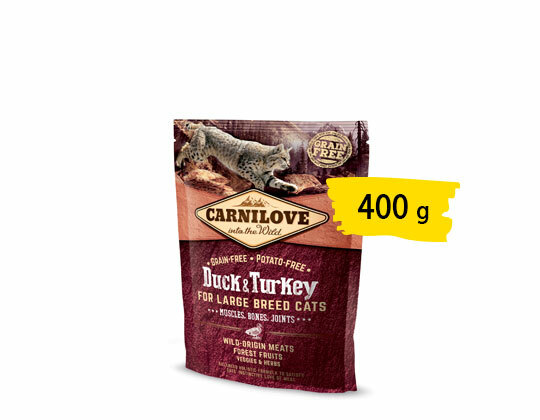 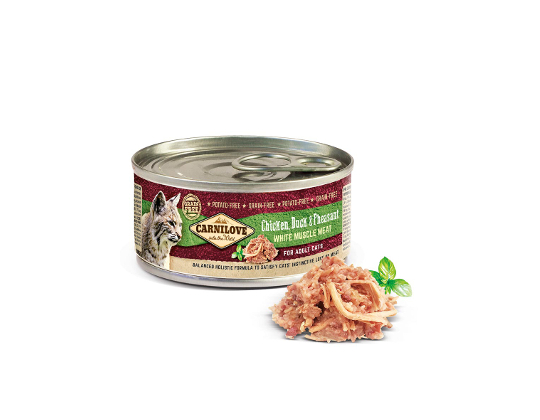 Duck & Turkey for Large Breed Cats has been formulated with respect for the natural composition of the feline diet. 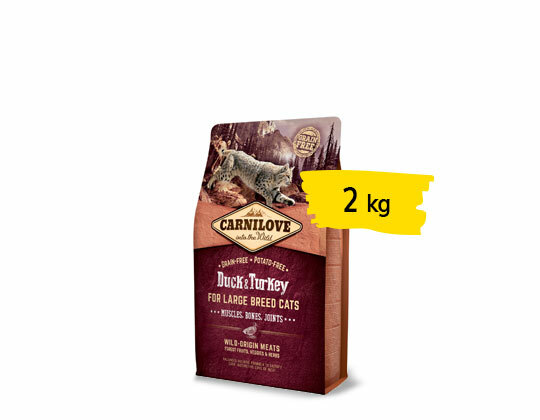 Turkey and duck contain high ratios of digestible proteins and unsaturated fats to nourish the muscles and restore energy levels. 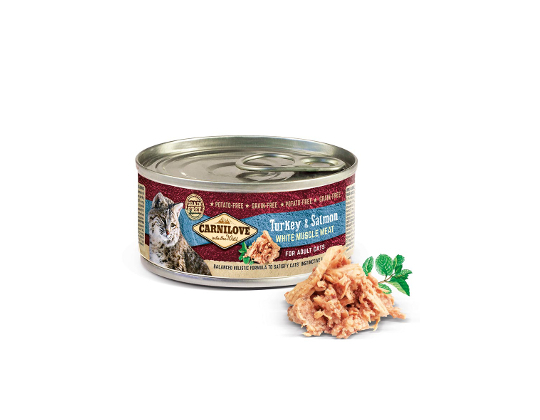 The greater burden to the musculoskeletal system is off set by chondroprotectives and natural substances that promote flexibility in the joints and strength in the tendons and ligaments.